I am participating in a fun blog hop today! 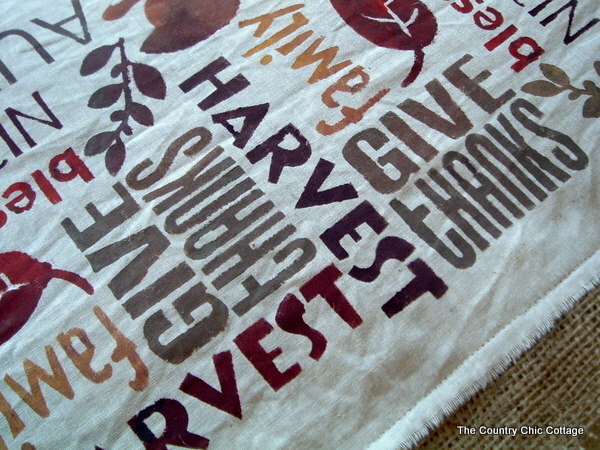 The Burlap Point of View! A group of ladies get together each month and put their spin on a topic. They invite a guest and do a blog hop one day of the month. I am the guest this month! So read on to find out about MY point of view on burlap! 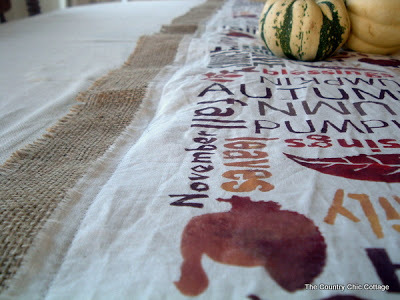 I used muslin and my fave deco art paints for the runner. Muslin comes in 108″ widths so it is super easy to tear yourself off a runner from one side. My muslin is 12 inches wide. Then I broke out one of my other fave products — my Silhouette. I made my subway art using different fonts, sizes, and directions plus stock shapes out of my library. I made the stencil about 8 inches square. 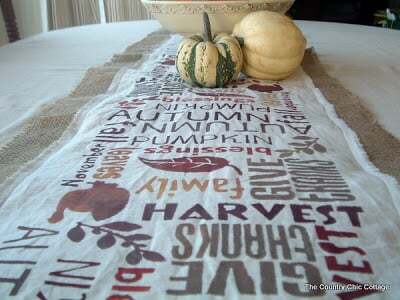 If you make your stencil square that allows for you to turn it as you work your way down the table runner. It looks a little less like you just used the same stencil all the way (even though you do). Paint it this way then turn it 1/4 turn. Paint it again. Turn it 1/4 turn. Make sense? 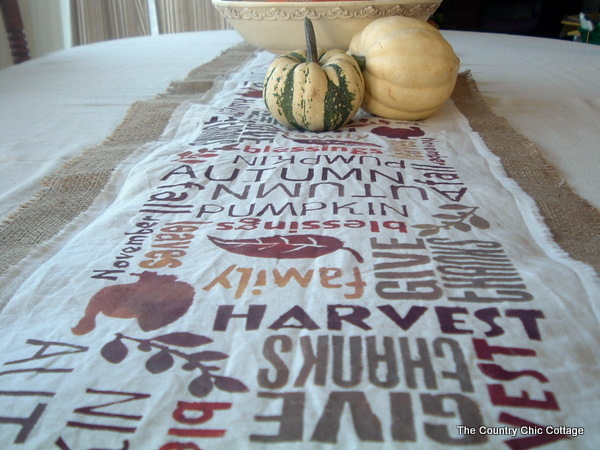 My secret for stencils — I take the middles of the letters and tape them in with scotch tape. 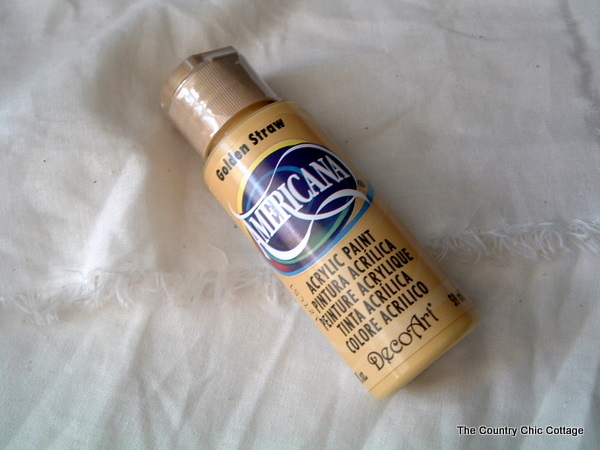 After I paint in this area, I would remove the stencil and go back by hand and paint in the areas masked by the tape. Want more details on that method? Check out this post for all the details. I custom mixed my own paints. I did them in small amounts on a paper plate. So as you go down the runner, the orange may look different as I had to mix a new batch. I wanted this look. I did not want the runner to be exactly the same all the way. I felt the slight differences in color added interest. 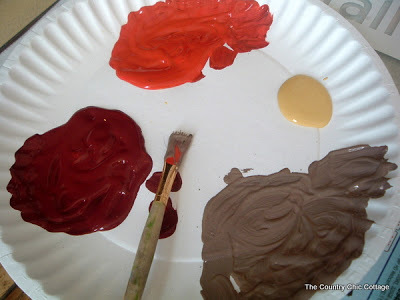 Plus when I painted I used different colors. Let’s take the “give thanks” in the picture below on the right for example. The “give” part looks like a slightly different shade then the “thanks”. But the “give thanks” on the left hand side looks a little different yet. Just dip your brush in say a little red before dipping it into the brown. You will be amazed at the effects you can create. See my turkey below…isn’t he pretty?? Shades of red, orange, and yellow all used to make him stand out! When I got to the next turkey, I would try a different mix of colors. I stretched my runner out on the floor with newspaper underneath it. I painted all of my subway art all the way down. I did it in two sessions cause it totally hurt my back!! But I finished it…then I let that dry. 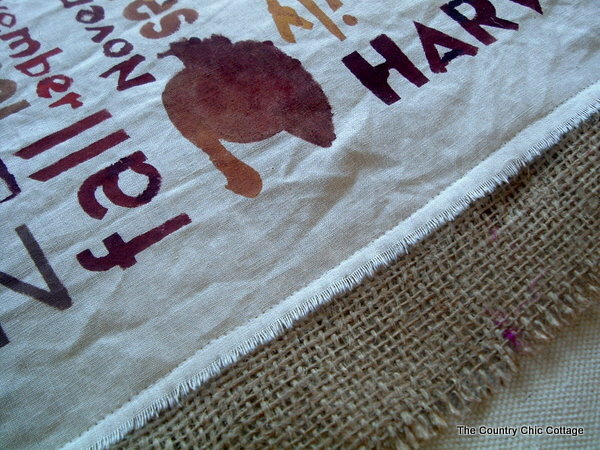 I took my burlap and cut it to be about 4 inches wider than my runner (2 inches on both sides). I then sewed the muslin to the burlap on both sides and on the ends. I left about 2 inches all the way around of the burlap. I left all of my edges raw cause I heart frayed edges. You can run some fray checker on the edges to make sure it does not fray more than you want it to. I frayed my edges some on purpose. Again cause I love that look. How much or how little is totally up to you. 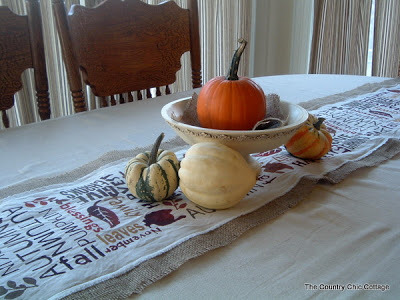 In the center of the table, I just added a footed wood bowl and some pumpkins and gourds. A little scrap of burlap was placed in the bottom of the bowl. All that is missing is my Thanksgiving guests. 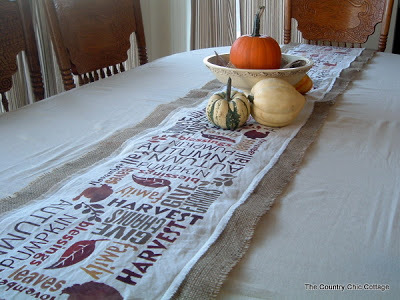 I love the idea that no matter where you are sitting at the table you can read seasonal saying and words…. So fire up your Silhouette, make your stencil, and start painting! I would love to see your take on the subway art table runner this holiday season! 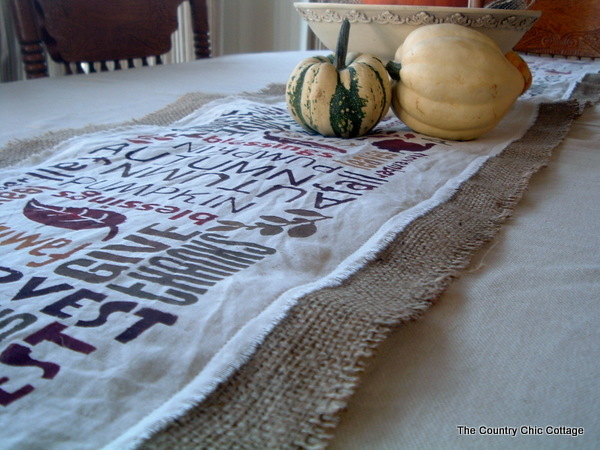 Be sure to visit all the other burlap projects today! Very nice!!! 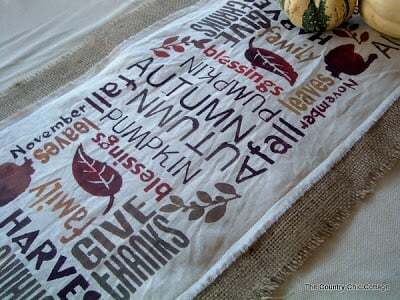 I need to find some burlap because all of these awesome burlap crafts are inspiring! Angie- I told you before and I’ll tell you again- this runner is absolutely amazing! I love the whole thing. When I first saw the picture I saw that gorgeous turkey- he’s stunning. the whole thing is lovely. So happy to have you participate in Point of View this month. Hi Angie! Thanks for being a POV guest this month. 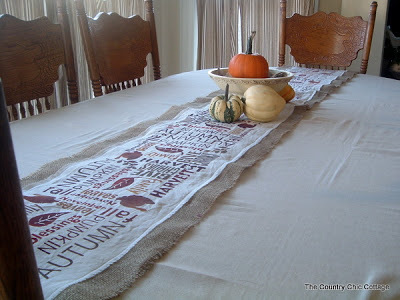 Burlap is a perfect theme for you and I love how the table runner tured out. The subway art looks awesome on the table runner. What a great idea. I love this, Angie!! It turned out fantastic. What material did you use for the stencil? It doesn’t look like freezer paper. Angie – I love this! It is so cute! You did a wonderful job – I love the sayings and colors you picked – just darling my dear! Gorgeous project, Angie! Lots of attention to detail, and it definitely shows. I love the frayed edges. Thanks so much for joining us for Point of View this month 🙂 Fantastic! Oh, it is wonderful, I can see why your back hurt!!! I would soooo love a silhouette! 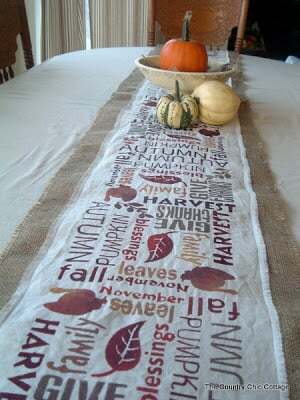 This table runner is so cool. Great job, and thank you for sharing the how-to! Love love love this!! Great job mama!! No Way! This is so fun and creative! Wow. If you’re interested in linking up at more parties, I’ve got one that just started! I’d love to have you! Wow, this turned out great! Very clever. 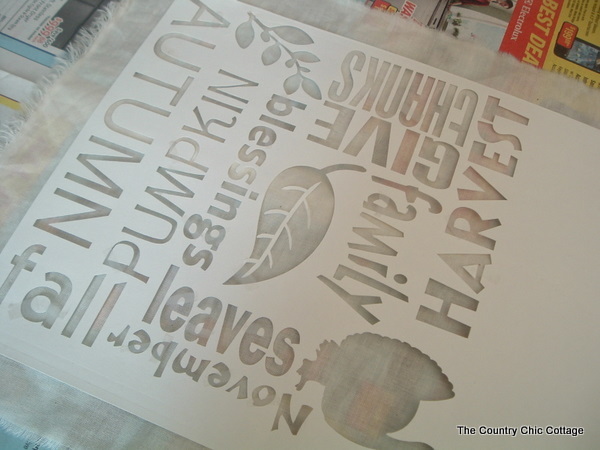 I have a silhouette too – what did you use to make your stencil? This is adorable and I love the subway art look put on a table! Perfect! Love it, but where do I go to do the lettering? Love this! You did a fantastic job! Susan — I used my Silhouette for the lettering. You just insert the text you want in different fonts. It cuts the card stock for you. If you don’t have a silhouette. I would reccommend making the subway art lettering in your word processing program. Printing it on card stock. Then cutting it by hand with an exacto knife. 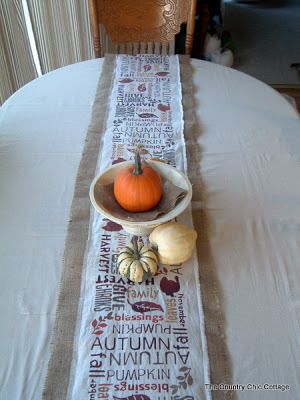 Any chance you will be adding these wonderful table runners to your etsy shop? If so, I’d love two! totally adorable! I am in the same boat, I love the subway art but have never been able to work it into my home. Will definitely have to try this out sometime!! Angie, this is beautiful! Simply beautiful! Wow! This is gorgeous! You should sell these. I know I’d love to have one. Unfortunately, I don’t have a Silhouette machine. Great job! Adorable! I have pinned it on pinterest. I plan to make one myself. Sadly, I don’t have a Silhouette, but I still have plans how to get this done! 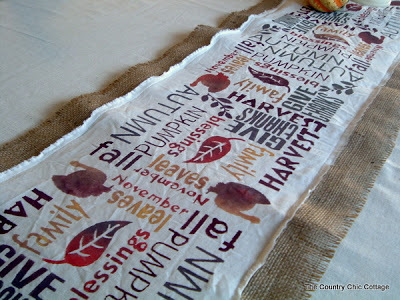 This table runner is lovely! Now I REALLY want a Silhouette! This is gorgeous! I truly hope I have time to make one of my own before this Thanksgiving! Thanks so much for sharing. Love your runner! Lots of work to do all that painting but the end result is awesome. Great idea! This is really cute. Would you be able to share your stencil for us silhouette owners? Or at least which fonts and silhouette item numbers? I love it! I wish I had a Silhouette, then I would make one of these right away. Angie–I love your table runner! I have a question for you though. How did you deal with the oodles and boodles on the e’s and the a’s? ps not sure how I missed this the first time around. I saw it over at craft gossip. How VERY fun and festive, thanks, may even try on my 36in muslin for a topper! This is gorgeous. did you use the same stencil out of vinyl or did you cut it multiple times? Muslin, burlap, and a stencil…the perfect combination! 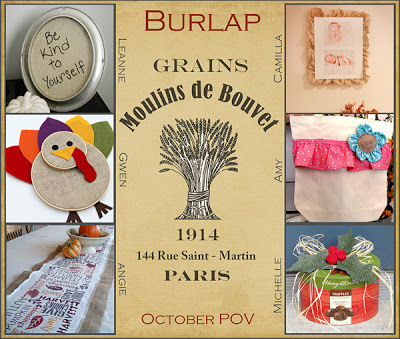 Thanks for linking up to the burlap party at WhisperWood Cottage! I LOVE this – you did an amazing job. I love it, Angie! Great job! I love your runner Angie. You did an awesome job. I remember this from the burlap party! Such great colors and a great theme, Angie! 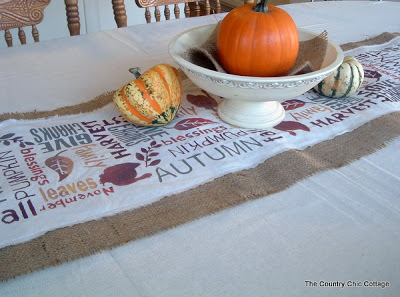 Thanks for linking up to The “Autumn Décor” Talent Scouting Party at WhisperWood Cottage! love this Angie…I think I might have to try this!!! So awesome. A lot of work but totally gorgeous. 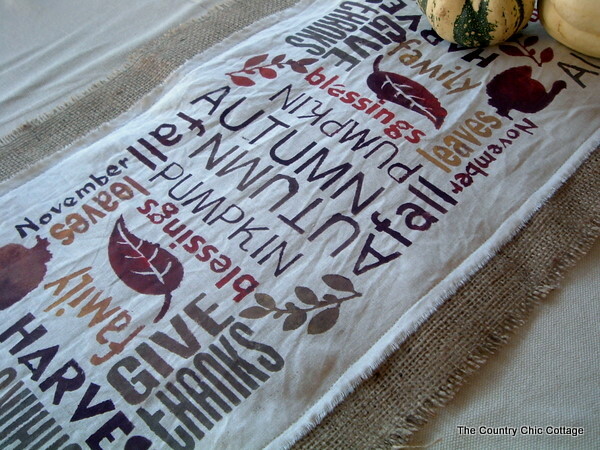 Gorgeous Thanksgiving table runner. If I put that much work into something, I’d have to find one of those clear vinyl table covers to protect the runner at least, and maybe even the table cloth under it. Where did you get the fall stencil? I actually made it with my Silhouette. A craft cutter will work or print your desired image on cardstock and cut out with a craft knife. This runner is absolutely fantastic! I recently purchased a silhouette and I have just started crafting with it. In reading the comments above, I saw the one about the possibility of emailing the stencil file. If you are still able to send it, I would appreciate receiving it. Sorry Stephanie! I don’t have access to it anymore! Best of luck!! Very creative there. I have to ask did you iron the back of it before you sewed it down. I think had you it would look way more professionally done. If you it sure isn’t laying very flat on the burlap. Again nice job with the art work.